On the last day we drove out to the Arecibo Observatory so we could see the massive radio telescope from Goldeneye. Obviously we went for other reasons, but I won't lie...the fact that it was in a James Bond movie was definitely part of why we drove out to Arecibo from San Juan. Unfortunately they're closed on Tuesdays, so we didn't get to see the actual telescope up close. We did get to see some of the supports on the ascent up into the mountains, but that was about it. Even though it was closed for maintenance, the drive out into the countryside was well worth it. The roads were small and borderline cow path like in some places, but we had a hell of a time running our rental Jeep in the rough terrain and windy roads. Once we arrived back in San Juan we decided to make a stop at the San Juan National Hisotric Site. 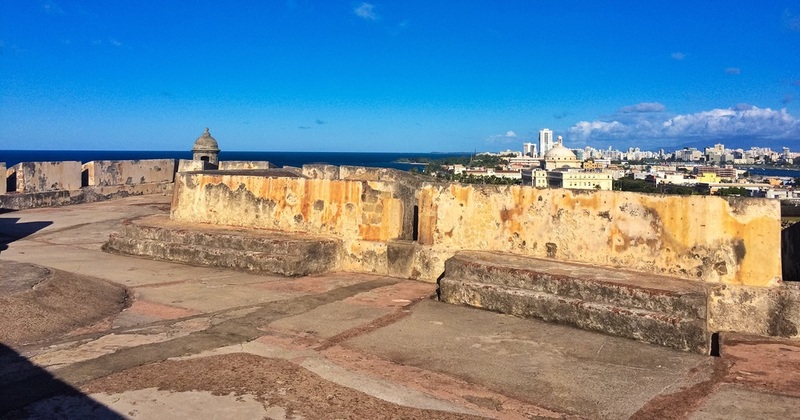 It's comprised of Castillo San Felipe del Morro, Castillo San Cristobal, the city walls, San Juan Gate and the Fort San Juan de la Cruz, which are all part of the reason its designated as a UNESCO World Heritage Site. We got there late in the day, so only had a few hours before sunset when the park closed. Even though our time was limited, the light and shadows during that hour of the day made for some really dramatic photos. 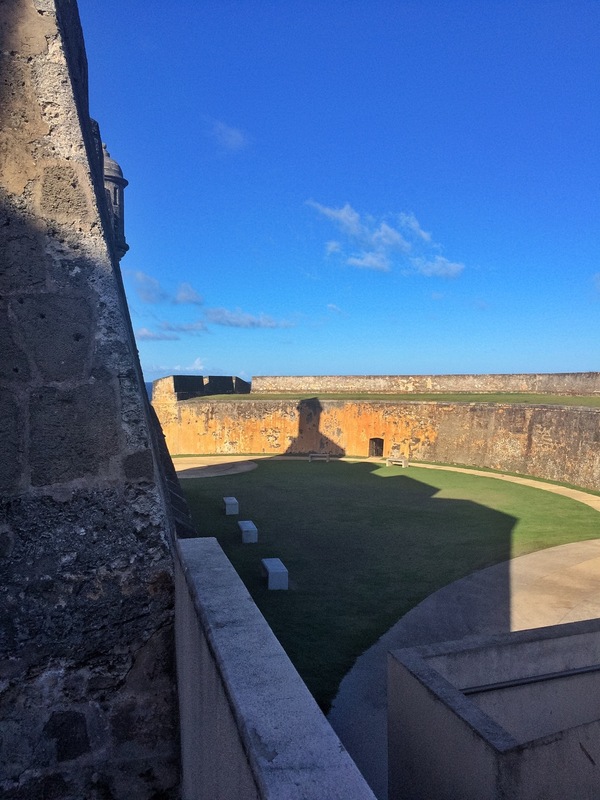 It was neat getting to climb up onto the battlements of the old fort to see some of the most breathtaking views of Old San Juan and the ocean. After our tour of the Fort, we went down and toured a bit of Old San Juan. It felt almost like a European vaction with the bulidings and cultures have some interesting similarties. 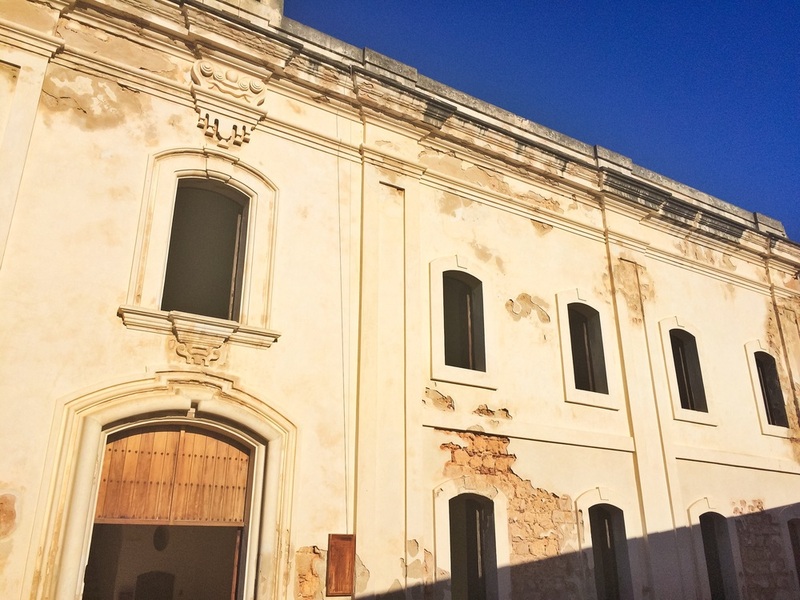 The architecture is amazing, the people are fond of late night dinners and the maze-like streets reminded me of that time I was holding on for dear life in the back of an Italian taxi cab. Later that night we ended up at a small local joint recommended to us by the concierge, called Orozco's. There we got to try some local specialties like fried chorizo cheese sticks, shrimp trifongo and churrassco mofongo, along with some Medalla beer. It was the perfect way to unwind after a whirlwind day driving around the island and seeing aso many historic sites. Our favorite part of the trip was the charter we took out to Culebra Island. Once there we went snorkeling on the reefs and spent the day on Flamenco Beach. Although we lost the photos from the snorkeling part of the trip and forgot a GoPro at the hotel, we did manage to get a few photos good with the iPhone. Unfortunatley taking the phone on the swim to shore didn't seem like a great idea, even in a "waterproof" bag, so I wasn't able to get any pictures of how beautiful the beach was up close. Sometimes things happen for a reason though and Flamenco Beach is one of those places that needs to be expereienced without distractions. Paradise is often described as a place "where only peace, prosperity, and happiness survive" and "a place of contentment, but not necessarily a land of luxury." If there was every truly a place that fits those definitions of "paradise," I had not found it until we arrived on Flamenco Beach. You can float for hours in the gentle ocean waves and permanently lose track of time. The world does not exist when you are in this place, it is so magnetic, simple, laid back and easy. I found a piece of my soul in Culebra, it's in my blood now and will pull me back soon. 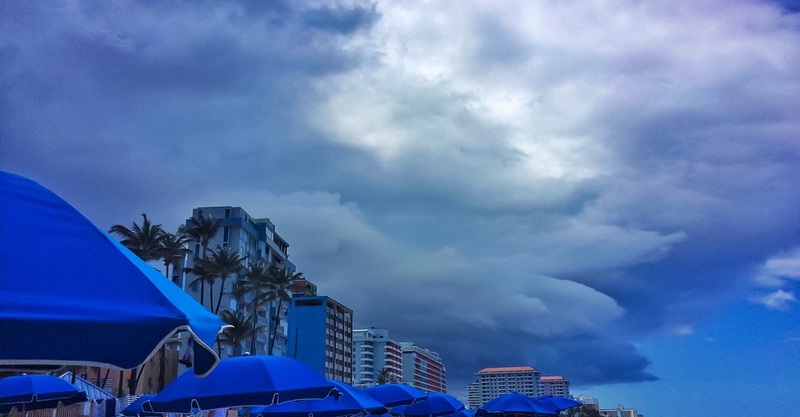 Our home base for the week was the Marriott Resort in the Condado district of San Juan. 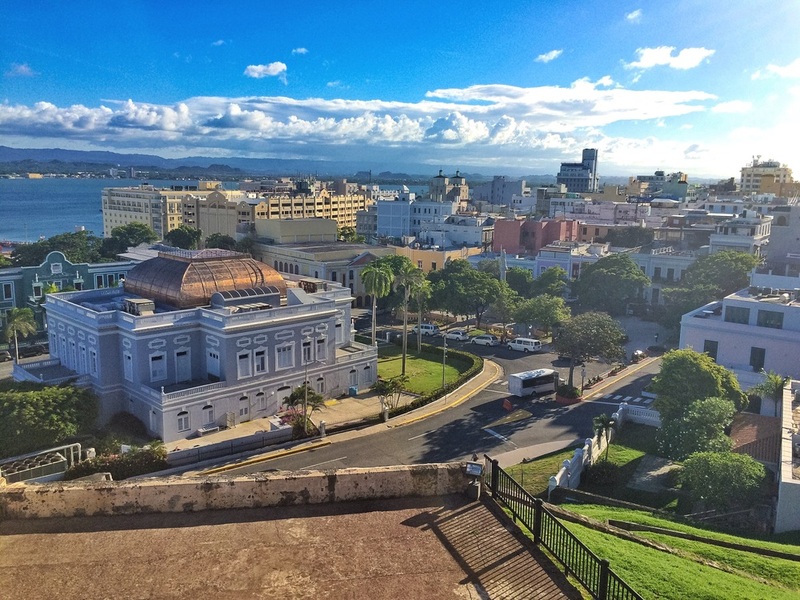 The resort was in a great central location to shops, restaurants and was a five minute drive to Old San Juan. The beach was steps away and the views were spectacular. My feet were grateful for the soft sand after a day of travel and the beach was picture perfect. The ocean temperature was just right, it was calm as a lake in the morning and a little wild with the afternoon storms. At night the rustling palm trees lulled us to sleep after a long day in the sun. Despite all that you expect from a tropical paradise, the thing that caught our attention the most was the beautiful nature of the light in the tropics. From morning to noon everything was bathed in a golden cast and at night the most beautiful royal purple I'd ever seen crept over everything. The sunrises and sunsets did not disappoint, hopefully these photos will give a glimpse at the incredible show the Carribean put on for us every day. In September Chris and I had the opportunity to travel to Puerto Rico for a week. Once there, we got to experience a dreamy island truly on its own time. Over the next few days I'll be uploading some of the photos from our travels here (and on Instagram), so I apologize in advance for every shade of blue that's about to takeover this blog. For real though, it's a lot of blue water, blue skies and straight up azure amazingness. Above are a few aerial shots from our flight out of GSP into San Juan International. 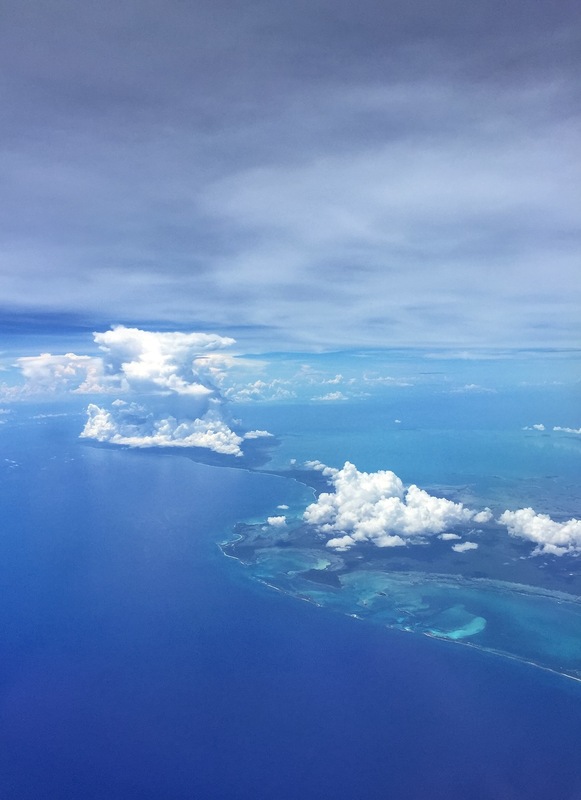 Flying over the Bahamas and across the North Atlantic has to be some of the most jaw dropping airplane views in the world. It seemed like every island had its own little plume of clouds that quickly turned into billowing towers on closer approach. The water was every shade of blue in the book and then some. I was in topographical heaven (literally) the whole flight over the many islands that make up the Bahamas. Our descent into San Juan International didn't disappoint either, it gave a fantastic preview of the beaches and mountains that make Puerto Rico such a stunning tropical paradise. By the time we landed I was in creative overdrive with all the inspiration from the flight alone!